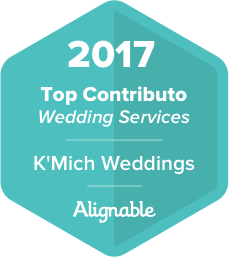 Home / Dress Decision / wedding dresses / wedding planning / wedding silhouettes / The Ultimate Wedding Dress Guide - Before Choosing the Dress! 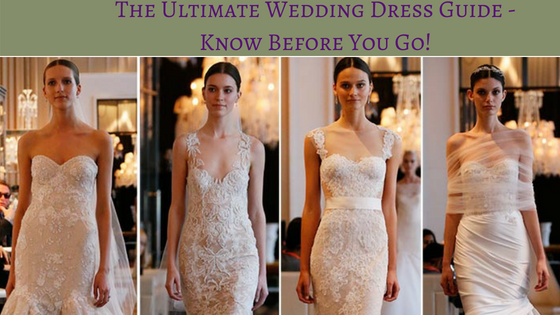 The Ultimate Wedding Dress Guide - Before Choosing the Dress! Not to make you nervous. but you are about to purchase the most expensive, stared-at, must-be-perfect piece of clothing you will ever wear. Your dress is the wedding's true centerpiece. (1.) Start shopping as soon as possible, as in 9 to 12 months (or more) before the wedding - it will take the pressure off the process. Place your order according to the time suggested by the manufacturer. (2.) You'll have found it when you look in the mirror and feel absolutely fabulous. (3.) Consider your accessories carefully - they need to compliment your overall look. 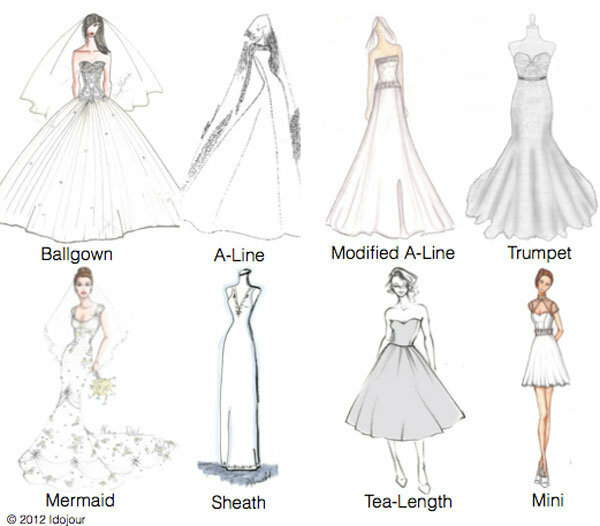 There are so many styles to choose from - strapless mermaids, spaghetti-straps sheaths, long-sleeved illusion dresses, bateau necklines, billowy ball gowns, etc. The list goes on and on. Follow these steps to find 'the one'... have fun along the way. 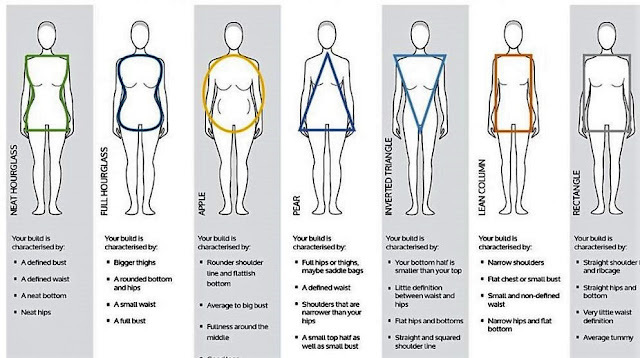 Before you choose a wedding dress, first you need to figure out your shape - whether you are round/apple, pear-shaped, full figured, etc. 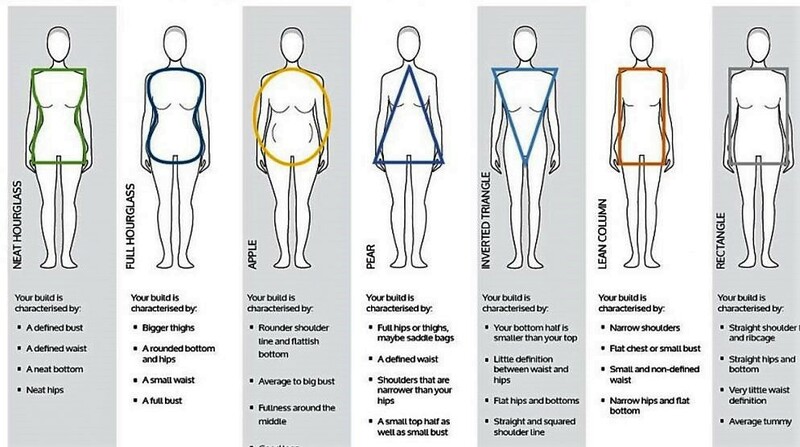 This will help you to figure out your so that you can make the best selection for your body type. For example, a bride with full-hips or neat hourglass (the first figure), you should consider an A-line, ball gown, flared skirt, or cinched waist styles are very flattering to this body type. A broader neckline, such as off the shoulder, Portrait, Bateau or Sabrina can help balance your overall silhouette nicely. Use this chart to see where you fit. Start trying things on 10 to 12 months before the big day so you can order by sixth to the eight-month deadline which most salons require (See our wedding checklist). Bateau - Also know as a boat-neck, has a wider opening at the neck. The picture to the left.